At First Class Cleaners, our mission is “Empowering People, Simplifying Lives, Making Memories.” Your wedding gown is one of your most precious possessions because it contains the memories of an important event in your life. Whether you are borrowing it from a relative or buying it new, your gown deserves professional attention and special care. We provide the most detail-oriented, expert gown-cleaning and preservation service available. Our cleaning experts have decades of experience and ensure your wedding dress stays flawless before, during, & after your wedding. Before your wedding, let our experienced seamstresses handle the intricacies of your wedding gowns. You can trust our specialist to ensure your dress fits you perfect. Before your wedding, trust our bridal team to keep you and your bridal party looking flawless at your most memorable event. We can steam and press garments for all members of the bridal party to make sure everyone is picture perfect for your big day. We also provide last minute stain removal, repairs, or wrinkle touch up so that you look and feel exquisite. After your wedding we clean and preserve your gown with meticulous attention to its design. The key to beautifully cleaning and preserving your gown is to begin the process as soon as possible. Stains will not have time to set and/or oxidize, which can make it much more difficult to achieve complete stain removal. 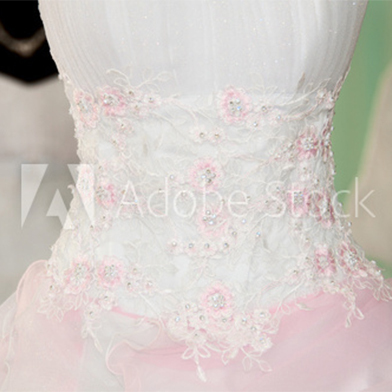 • Inspection: Each gown is inspected for damaged threads or loose beading. We then place them through a series of black-light tests to detect the most obscure stains and blemishes. • Hand Cleaning: We hand-treat and clean each gown individually. We take every precaution to protect the delicate beads, embroidery, and lace during the cleaning process. • Preservation: Pressed and packaged with care, your gown is protected and ready for future generations. Each gown is packaged with acid free paper and sealed in a museum-quality archival chest. • Anti-Sugar Stain Treatment: Along with our detailed hand cleaning process, your gown undergoes our anti-sugar stain treatment. Spills containing sugar, salt and acid often dry clear and cannot be seen. These hidden stains do not dissolve during ordinary dry cleaning and turn an ugly brown over time. Our unique anti-sugar stain treatment, featured in Modern Bride and Bride’s magazines, ensures that all sugar, salt, and acid – seen or unseen – is removed. • 100 Year Guarantee: All wedding gowns are professionally cleaned and preserved by our certified specialists. In very rare instances, a gown will yellow over a period of time. In the unlikely event this occurs, we are happy to reprocess the gown at no charge. Should we be unable to remove the yellow, our bride’s preservation cost will be refunded. Beads and sequins are excluded. Improper handling of the gown may cause damage and compromise the true preservation of the gown.